Face is the most important part of body so often with increasing age, occurring accident or any other happening. Filler Treatment in Hazratganj Lucknow by derma klinic is best in city. Facial features lose their shine and appearance due to loss of subcutaneous fat, facial muscles start working closer to skin that makes skin a little shabby. Dermal fillers cure these anomalies in face, they make face full and complete with youth as its prime factor. 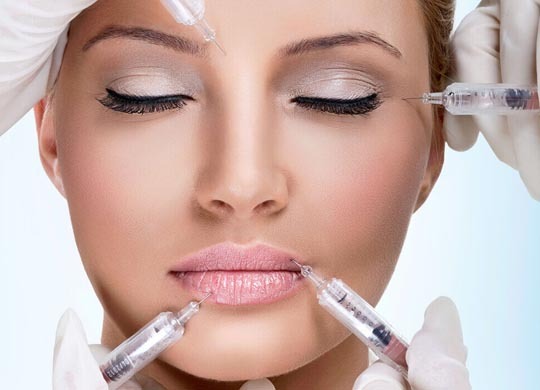 Filler treatment does many things it full’s the lips making them healthy, makes increments in shallow contours of facial features softens facial features and creases, improves appearance of sidelined scars. Reconstruct contour deformities in face, decrease or removes shadow of lower lips. It is a process to get back those facial features which are lost in time. Fillers are injected in these places and they make facial features very sharp and full, the shabbiness is improved upon by this process and youth full look is returned after that. In few cases surgery is the option but those are rare. There are different types of dermal fillers that are used in making of features full and complete common among them are calcium xylohydrapatite, hyaluronic acid, polyalkylamide, polylactic acid, polymethyl methaacrylate microspheres. Chemical construction of dermal filler differ from chemical to chemical varying in degrees of softness, softer filler types are used for lips and harder ones are for cheek bones etc. it is up to the dermatologist to accurately determine how much is to be injected and in which part. Dermal fillers are easy to use and are very helpful in improving appearance, they are among the safest medical treatments very trustworthy and long lasting it is very much like this. People improve their personality by this treatment and its effectiveness is well tested.